Sy's new mounting spacers are made of STAINLESS, so they can be welded to bedsides, special weld hole is in the center so no nasty welding shows around the outer edges. Plain stainless can be left as is, or painted to match the bedside. 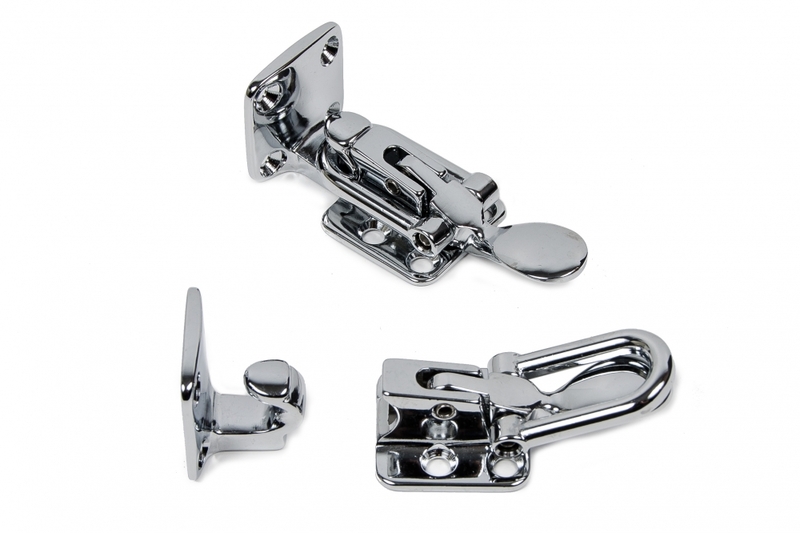 Polished Stainless just disappears as it matches the latch in size. 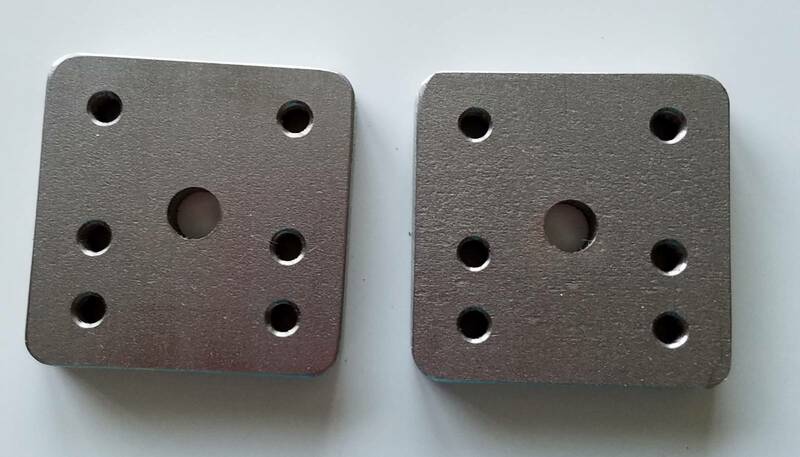 The holes are threaded so can be used to mount latch, use 80260-W. Or use screws going through the holes into the bedside, 80260-16 will be inside the stake pocket. SINGLE WALL GATES WILL NEED THESE SPACERS WELDED OR GLUED IN PLACE TO MOUNT THE LATCH SO SCREWS DO NOT SHOW THROUGH. 1...use as a spacer and run bolts or screws through latch and spacer into sheet metal. 2..Use spacer by welding on bedside or gate. NOTE the EXTRA large hole in the center is used for welding so nothing shows on the outside. Then bolt latch onto threaded mounting spacer. This new hole is perfect for a clean install. fits on either side, sets latch out from gate or from bed side. shown with the latch, so you can make sure you are ordering for the correct latch. note this spacer fits both the latch side or the hook side. most trucks only need spacer on one side or the other, but in some cases you might need both. Usually I like to put it on the bedside as it sets the latch out enough to catch the tailgate in the best area. Went to a show and saw my spacers welded to the bedside, which is what I intended them for, BUT, noticed the welds were showing. So went back to shop and redid them with a CENTER WELD HOLE, so you can weld them on, and nothing will show on the outside. Made of stainless so they can be welded and or polished. FOR POLISHED see 0260-NPS.